The DJI Spark, announced in May, can shoot high-definition video, flies at speeds of 31 miles per hour and is the size of a soda can. Oh yeah, and you can control it just by waving your hands around. 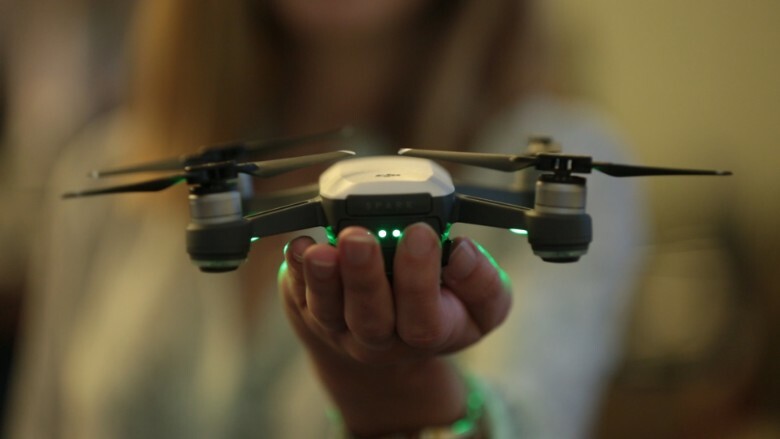 The $399 Spark is just one of the most recent drone offerings to go small. Other companies have also been making small devices for aerial photography, racing, selfies and just carrying small objects around a room. Here's a sampling of some of the compact fliers. Note: This slide was updated to reflect price changes for the Spark since this story was originally published in May.